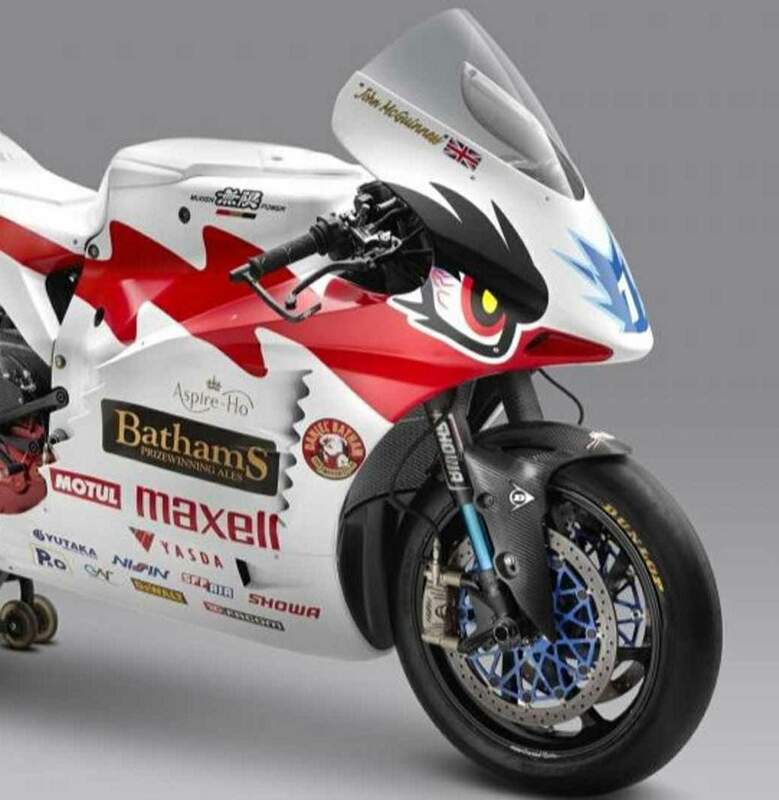 The Mugen Shinden Hachi (hachi means eight in Japanese) was launched at the 2019 Tokyo Motorcycle Show. MUGEN M-TEC Co. Ltd., will once again participate in the TT Zero Challenge class 1 at the 2019 Isle of Man TT race. “TEAM Batham’s MUGEN” is the new team main sponser. 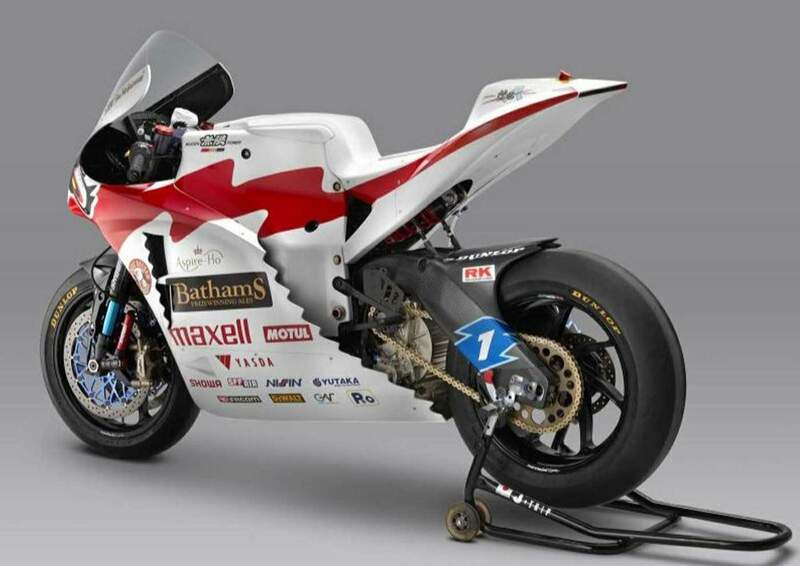 The Mugen Shinden Hachi, which is the eighth version of this electric superbike, and will be raced by John McGuinness and Michael Rutter. According to Mugen this version will have increased power due to changes made to the bikes electric drivetrain, in addition to making a selection of aerodynamic improvements gear towards bike stability and reducing drag. The Isle of Man TT race, which started in 1907, is the oldest high-speed motorcycle race that is still currently held. The isle, which is located in between the United Kingdom and Ireland, is about the same size as the Awaji-shima island of Japan. The races are held in a time trial format on a 60 km public street course that includes urban zones, residential areas, and a mountain section. The event was resumed in 1947, after the end of World War II, as part of the Motorcycle Grand Prix World Championship, and was soon an irresistible competitive challenge for the Japanese motorcycle manufacturers to demonstrate their technical abilities, and the riders with their courage. 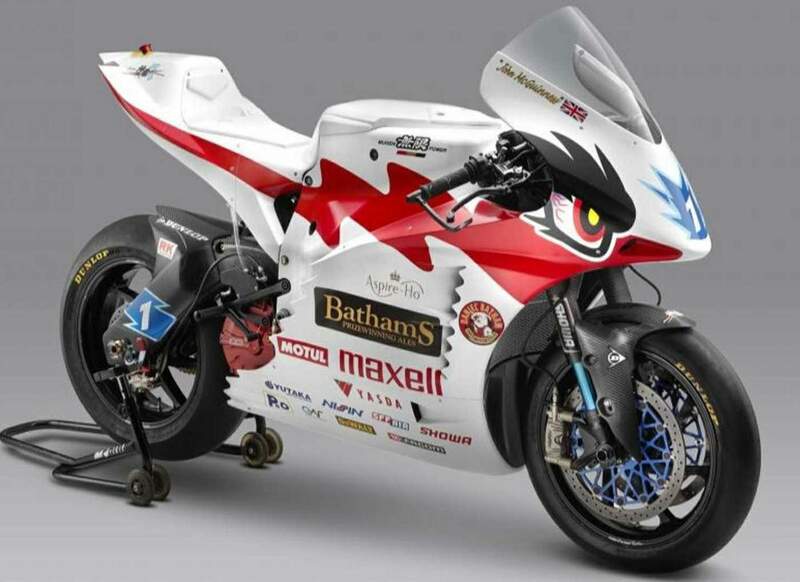 As a result of their successes in the Isle of Man TT it has served as a foundation for the Japanese motorcycle industry, from which it has made the leap to the pinnacle of world class motorcycle manufacture and competition. The TT Zero Challenge class is a new category that was started in 2009 in anticipation of the future of the age of clean energy. In this category, machines are required to be equipped with a power plant emitting zero carbon dioxide. Though races for conventional internal-combustion engine classes can range from three to six laps, the race distance for the TT Zero Challenge class is currently one lap (approximately 60 km) in deference to current technology battery performance and capacity.